Yes, that tasty bit of chocolate you're about to eat does indeed contain caffeine. But if you're looking for a caffeine boost, you might want to put down that truffle and grab a cup of coffee instead. Experts state that a person would have to eat fourteen regular-sized (1.5-ounce) bars of milk chocolate to get the same amount of caffeine that you'd ingest in an eight-ounce cup of coffee. Dark chocolate does have more caffeine than milk chocolate, but not that much: you'd still have to eat four bars to get the same buzz as a regular cup of joe. Let's take a look at the caffeine in coffee: eight ounces of generic brewed coffee contains around 95 milligrams of caffeine. A sixteen-ounce cup of good coffee – the “grande” size in many coffee shops – has between 200 and 300 milligrams of the stimulant. Even the standard one-ounce shot of espresso from a coffee shop averages 75 milligrams of caffeine. That's a lot of buzz packed into a small volume. So what about chocolate? A one-ounce square of unsweetened baking chocolate contains 23 milligrams of caffeine. If you look at a large, 3.5-ounce bar of very dark chocolate (70-85% cocoa), you'll find around 80 milligrams of caffeine. A similar bar of plain milk chocolate averages 20 milligrams of caffeine. 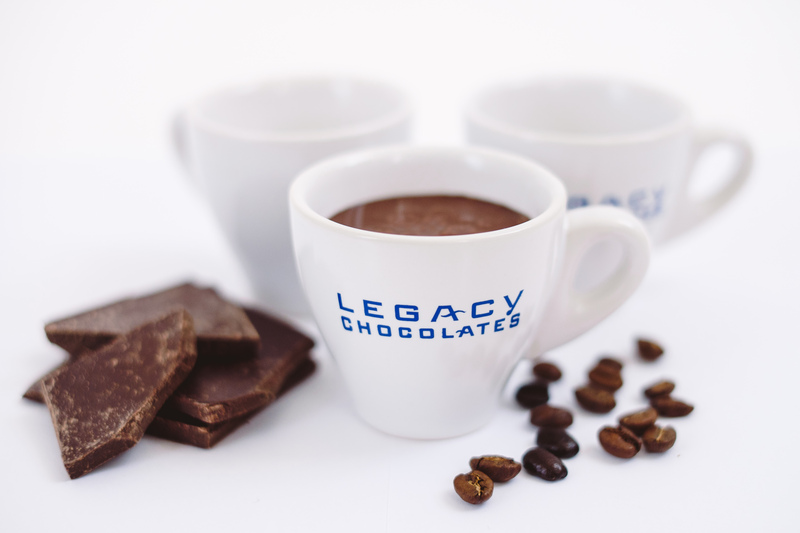 Hot cocoa only has about nine milligrams per eight-ounce cup. All of this means that yes, you may get a little pick-me-up from chocolate, but if you need a strong jolt to keep your eyes open, you're better off with some of our brewed coffee. Either way, stop by our coffee shop in downtown St Paul and test it out for yourself!